I want to buy a sound card for my PC which I want to use semi professional for singing. can you suggest me the best and cheap??? Are you thinking something like UAD-2 QUAD Core or are you more in the realm of this Creative Audigy FX instead? If you're looking for something more like the first you'd probably do well finding a forum of sound engineers or buddying up to one to ask about mid-grade options. If you're thinking more like the second, then it doesn't matter so much. The home PC sound card market nearly killed itself off years ago and has been limping along since. The tech behind them seems to be pretty stagnant - correct me if I'm wrong here audio nerds - and you're better off focusing on the tech you actually want to hook up and buying a card that will support whatever physical ports you find you're going to need. Last edited by Vindir; 10-01-2016 at 04:10 PM. you should go for any computer hardware shop.. they will guide you. you are looking for a card..
Really late for the game (only just managed to log in with my old account), but I am kinda curious as to what you had gotten. I still have a couple of cards, but they are gathering dust in my storeroom as I'd replaced them with external DAC combos as music appreciation has taken center stage for me (don't game as much as I used to). 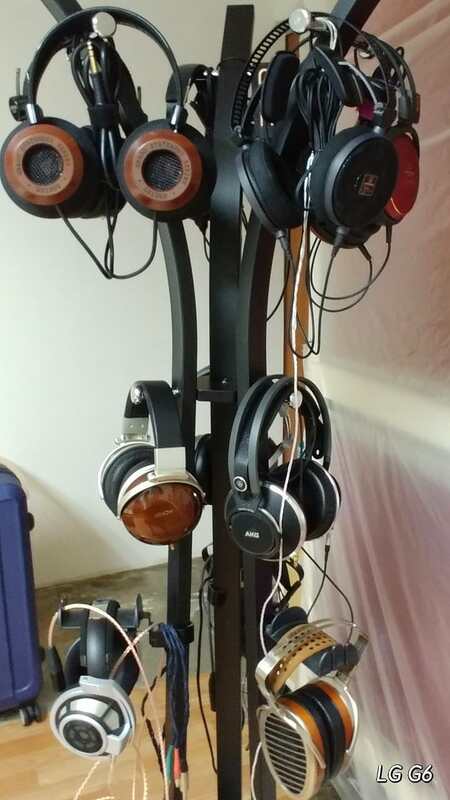 I use a number of headphones and a pair of Rokit5 G3's when I don'tfeel like using my cans. Brushed the dust off my SB ZX and installed it in my i7 4770K rig as the audio outputs on my ASRock mobo are death. Surprised that the card is still in good working order and I'm using the optical output from it to a Samsung K651 soundbar (would have settled for monitor speakers, but apparently, my monitor doesn't have speakers for cryin' out loud), pretty happy with the result though. So, in conclusion, soundcards can be useful....only when all audio outputs from mobo are unusable! I went from X-FI to Asus mainboard sound and found it lacking. It was muffled and quiet. That was on the Z170 Pro Gaming. On the Z370 Strix it sounds better. Still, I ended up picking up the Creative X7 external DAC. I have that connected to a Logitech THX Z5500 (or something) 5.1 speaker setup. I replaced all stock Logitech speakers with Klipsch. I’m very discrete. I have no code of brand loyalty. I will build anything, anywhere; Gaming PC, workstation, HTPC, doesn’t matter. I just love building. I'd actually given up on soundcard a while back, last soundcard I'd gotten was the SoundBlaster Zx which is now in my ASRock Z87 Extreme 6 (due to faulty mobo audio ports). I'd started on my real audio journey about 3 years back, with the purchase of a Sennheiser HD800, coupled with a Schiit Lyr, Through the course of my audio experiments, I've tried a number of audio hardware, I find myself preferring a DAC combo, though I do have a DAC stack setup as well (presently have a Gustard H10 + X12 stack, and an iFi Nano iDSD + iFi Micro iCan SE). I have an Oppo HA-1 which can be seen in the pic I'd posted in the 'Post your system spec' thread. I'd gone totally wacko with my headphone purchases as well, I dabble with both dynamic and Planar magnetic cans.....see pic below, I actually have these cans! Soupnazi would've been so proud of me!!! Last edited by mikeysg; 03-24-2019 at 11:03 AM. I have a Hyper Cloud II which I use, and they're ok. I really should get a set to plug directly into the X7. However, I'm hesitant because I get listening fatigue and pain after using headphones for a while. I also noticed I lost hearing in the upper frequencies. Until my mid-thirties I could still hear mosquito ringtones that only kids could hear. After I started using headphones that ability faded quickly. Yep, it's a tree I put up every year end. Since it's the holidays, I'd try to spend more quality time with them. Right now, most are in boxes in my shelves, and I'm using the Senn HD600, Mass Drop HFM HE4XX and a strange but enjoyable (to me anyway) dynamic/electret hybrid, Enigmacoustics Dharma D1000. I forgot that I'm also using another soundcard, an Auzentech X-Fi Forte 7.1 for my HTPC (i7 2600K + 16GB DDR3 1600MHz, GTX1080) hooked up to a Panasonic 4K TV + Samsung N650 soundbar. I have two HTPCs right now. A Zotac EN1070, and a 3770K rig with a RX570 GPU. The Zotac uses the Nvidia audio processor to pass audio to my Pioneer receiver for decoding. Quality is limited to my receiver which is admittedly low end. I have Jamo C103s as mains in there. I plan to upgrade the receiver to something better at some point. The 3770K uses and HDMI switcher that extracts the audio stream for Optical audio from the RX570 to an older Pioneer Receiver that doesn't support HDMI. That audio is for the family room and is running through Klipsch Quintet IIIs. I would honestly prefer to have the RX570 handle the audio through HDMI entirely though. I'm using audio pass-thru on my 2x VEGA64 + 3960X + Asus Rampage IV Extreme rig, no space for a soundcard....rather, I believe adding a soundcard would cause my 2nd card to run at PCIe x8, having it run at PCIe x16 is more important. Does running audio thru the GPU, be it AMD or nVidia, result in stereo only for you? I find stereo to be rather limiting, but for my present apartment, it's fine since I have no space for a proper 5.1/7.1 speaker setup anyway. I also have a pair of KRK Rokit5 G3 for those times I'm not in the mood for headphones, pretty nice pair of speakers but nowhere close to those nice Klipsch Quintet III's. I do wish I had gotten a pair of JBL LSR305 instead, but the Rokit5 G3's are decent enough so I'm not looking to upgrade the speakers (which aren't my priority in the first place, my cans get first priority). The Quintets are good but not great. Far better than most sound bars though. I used them for my PC setup for a long time, but have since swapped out the fronts and center for Klipsch Reference series. The center I actually use as a monitor stand. I've never only gotten stereo out of the sound card. When I'm hooked into my receiver it registers as Linear PCM at 7.1. The KRKs are a good choice.